When a larger, single-bowl stainless steel sink with a bit of flair is required, the P9123 Kitchen Ensemble should be considered. 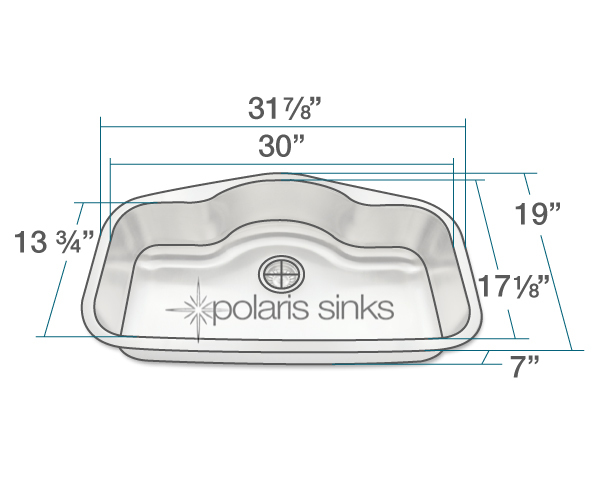 The curvy stylings of this undermount sink features an offset drain and broad sweeping corners. It is a shallower choice than some, with a 7-inch depth. Constructed of 18-gauge, premium 304-grade stainless steel, this sink is fully insulated and equipped with sound-dampening pads. The finish is an attractive brushed-satin. 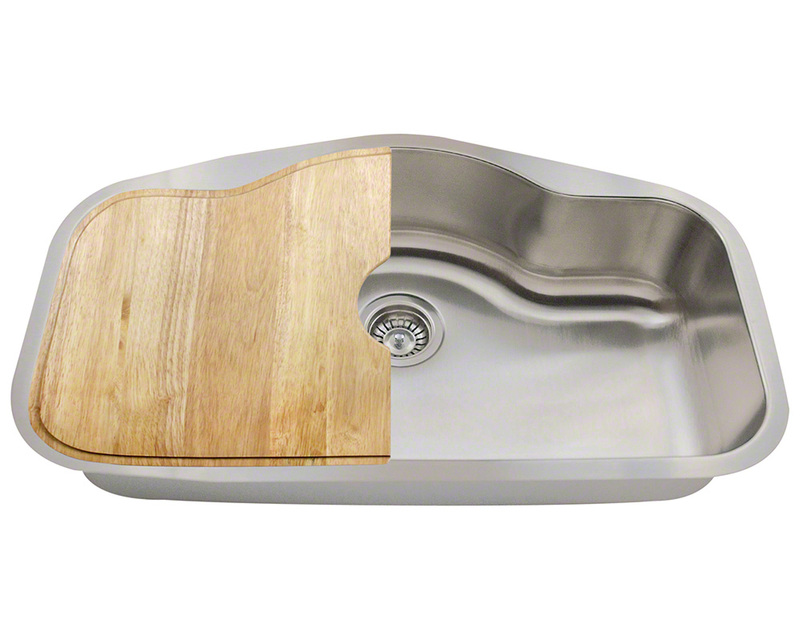 A beautiful genuine wood cutting board, custom-fitted to the left half of this sink, is included in the ensemble; along with a standard strainer, and the Polaris limited lifetime warranty.